For the first year, in BBS’ short history, there were more YA authors submitted than any other children’s sub-genre. For our regular visitors and for YA authors of color this is a BIG deal. Four years ago we had to beg, borrow and make-up YA authors. I’m just kidding about that last thing. But we did have to search high and low for YA candidates because there simply weren’t quite as many contemporary/popular YA authors of color out there when we started. 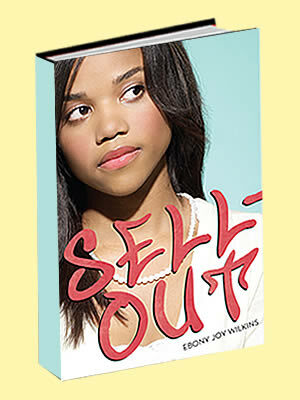 In July 2010 Ebony’s YA novel, Sell-Out, officially joined the ranks of Young Adult novels that reflect life for today’s African American teen. Books like Sell-Out will always be a needed and welcome addition to children’s literature, reinforcing the equal importance of chronicling present-day times as featuring our rich past. 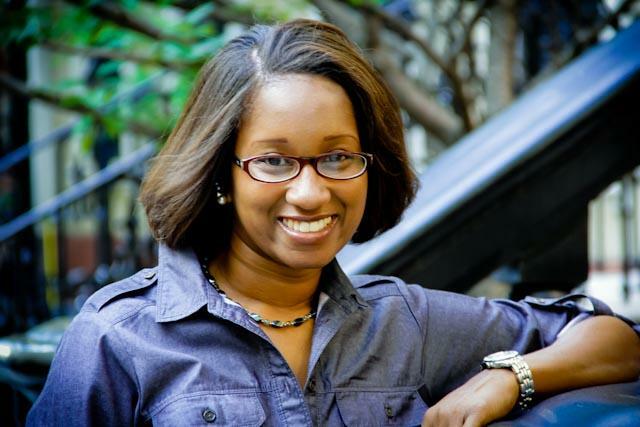 Ebony shares her views with us about diversity in YA and what life is like as a debut writer. BBS: Your website bio indicates that you like to travel in your “spare time.” Be honest, as a writer/promoter of your books/teacher, do you actually have any spare time? In other words how has becoming an author altered life for you? EJW: I don’t have much spare time these days. Most of my traveling now consists of meeting my family for a quick weekend getaway. I will make a trip back to NYC soon for a visit, but it isn’t fully planned yet, because I don’t have the time! Becoming an author hasn’t totally altered my life yet, but it is different. I do get to interact and network with other writers and readers more often now, but I still have school full time and work part-time to juggle with just like before. BBS: What subject do you teach and what grade? Do you believe being an educator gives you a leg up in the YA field? EJW: I have had teaching experience working in early childhood classrooms and also a few years at the high school level. I transitioned from teacher to student this year and started working on a PhD in Education. My focus is on African American children’s/Young adult literature. Right now I am reading a lot of research on the subject, but I’m looking forward to the day I can return to the classroom to apply all I have learned. I do think being an educator gives me a leg up in the YA field. I hope being surrounded by my students keeps me attuned to what the readers actually want to see on the pages. I get ideas for characters and stories from all around me though. I also have younger brothers who give me ideas, I eavesdrop on a lot of conversations on the street, and I get good suggestions from students when I do school visits. BBS: For the first time in the four years since we’ve been doing 28 Days Later we had more YA authors submitted than Picture Book authors. That’s a huge first and one would say signals that finally we’re beginning to see more diversity in YA literature. What are your thoughts on the diversity in YA literature now compared to when you were a young adult reader? Are we “almost there” “not quite” or “nowhere near” where we should be in terms of how African Americans are portrayed in YA literature? EJW: When I was a (younger) YA reader there wasn’t always the option to read about a character that looked like me. The few texts that I can remember were not accurate portrayals of my experience. It’s a good sign that we’re seeing more diversity in YA lit, which is a direct reflection of today’s hybrid classrooms and communities of readers. I truly believe that everyone has a story worth writing and reading about because we all have unique life experiences. In my opinion we will always need more authentic voices telling our stories, but I would say we’re almost there. BBS: Speaking of diversity, the very essence of Sell-Out is about the issue. Do you believe there are there still hard and fast cultural lines that teens hold on to or are they lines blurring more? And if there are still those lines, are those cultural lines primarily based on race or class or both? EJW: I think hard and fast cultural lines still exist, as they should. I say this because I believe in celebrating, embracing, and teaching about one’s culture in a positive way to educate others. I believe those who exploit someone based solely on culture, like in NaTasha’s experience, do so because of the lack of exposure, education, tolerance, and often fear of the unknown. The lines still exist but depending on our exposure to other cultures and our openness to learning about differences, those lines can begin to blur. I think this is why it is so important to provide more diverse literature to young readers. Stories play a big part in providing exposure to others. BBS: What do you want readers to take away from Sell-Out as it pertains to how people relate to one another? EJW: I would hope readers walk away with a sense of wanting to learn about others, but more importantly to learn acceptance of self. We are such unique individuals and we should celebrate that more than we do, in books, in our classrooms, in our homes, and our communities. In SELLOUT, NaTasha struggles to fit in not only because she was the new girl but because she doesn’t really know who she is inside. I think when we know and love our inner self it is easier to accept and be open to others. BBS: Your next novel features a male protagonist. What led you to change voice? And will it still be YA or will it be for younger tween readers? EJW: I actually started writing the characters for this next novel before SELLOUT. It has taken me longer to get to know these characters and to figure out what story it is they wanted to tell. The change to a male protagonist was not as difficult as I thought it would be, but it is a challenge. Someone told me I need to remind myself of this new character daily, so I have a note on my computer that says I’m a sixteen year old boy now. I think it will be YA but it is still a work in progress. BBS: What’s your most and least favorite part about life as an author? EJW: I have a few favorite parts. I’ve accomplished one of my life goals of writing a novel. I’ve also had the pleasure of doing several school visits to talk with students about reading and writing. And I really love revising a manuscript and looking back to see how much the story has transformed. Unfortunately, I’m not writing full time just yet, so I’m always scrambling to find more writing time. BBS: As an act of paying it forward – put another new YA or MG author of color on our readers map. Someone you think is under the radar and whose work you wish would get a bit more attention and tell us why you chose that person. EJW: Katrina L. Burchett, is the author of CHOICES, a YA novel about five teen girls who are trying to make their way in the world. Katrina reached out to me soon after my novel was released with words of encouragement and a nice review. I didn’t know her beforehand, so I felt really welcomed by another writer. Thank you for giving me the opportunity to pay it forward!